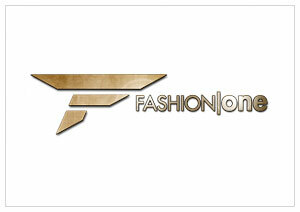 New York, August 15, 2012 – International TV network Fashion One, announced today they are looking to cast a London-based Fashion Correspondent for a reality TV competition, after Hong Kong, Taiwan and Benelux. The casting for the series kicks off on August 20th, and will be shot throughout the UK capital in September. This 6 episode series seeks to find the on-the-ground fashion savvy personality that will host all the fashion and lifestyle events in their hometown of London. The Fashion One correspondent will have the necessary ability to interview high-end designers and names in the entertainment world, delivering top quality reports to Fashion One's worldwide audience. It's a once-in-a-lifetime chance for someone who is not just a pretty face, but who can gain access to the best events, parties and designers in one of the most fashionable capitals of the world. Fashion One London Correspondent Search will be presented by the gorgeous Antonia O'Brien (of ITV fame), and she will be joined by Norwegian designer Fam Irvoll and pop couture poster boy and fashion creative Nik Thakkar on the search for the perfect correspondent. Fashion One's CEO, Ashley Jordan: "The contestant will have a golden opportunity to cover London Fashion Week in order to showcase their ability and talent as the perfect correspondent. As Fashion One is going to launch in United Kingdom shortly, the selected contender will reveals local fashion in every aspect of life to the our audience in one of the most fashionable countries of the world." Interested candidates should email casting@fashionone.co.uk.